Search engine optimization has grown in complexity over the past decade. Those who were on the front-lines of the SEO battle in the 1990s made lots of money and generating plenty of traffic from just a few basic tweaks and optimizations. Today, the internet is so crowded and competitive that search engines have evolved to ensure that only the very best content – as opposed to merely the most optimized content – ranks highest. With hundreds of little considerations to make in SEO, it can be easy to become distracted from the bigger picture. When dealing with anything SEO-related, it’s important to remember the three core tenets of modern SEO. Today, we’ll review those just in case you need a refresher course. As search engines evolved, so did their ability to detect the quality of your content. The overall premise surrounding SEO is that it’s a system designed to ensure that the very best content ranks highest in search. Google and other search engines are constantly pinging websites, looking for dozens of unique indicators that tell a broader story as to whether each piece of content is high-quality or not. This can be difficult to judge through algorithms alone, but the masters of search have developed some pretty intuitive algorithms that read the actions and engagements of everyone who views your content. In short: be sure to produce content that the audience enjoys. If you do that, then you’ll be well on your way toward developing a sound SEO ground-game. Some might think that quality content and value go hand-in-hand. In many cases, they do. However, SEO isn’t just about creating high-quality content: it’s about creating high-quality content that has value to your audience. A well-written piece may deserve all the attention in the world, but if it covers a topic or a specific angle that doesn’t resonate with readers, then it is next to worthless in a SEO context. Content creators are tasked with pinging websites with content that provide added value to readers. A good way to stay on track is to ask yourself, “will the reader find relevant and direct value in reading what I have to say?”. This can be applied not only to blog posts, but to pages, videos, podcasts and any other form of content you create. It’s pretty difficult to know if your SEO efforts are having their intended effect without some form of tracking. Your activities from day to day, month to month and beyond must be monitored through the use of a program like Google Analytics. This will not only help you to see developing trends – such as a drop-off in traffic due to algorithm changes or a very popular piece of content – but it can also shed light on what it is you’re doing both right or wrong. If you consistently monitor your progress and track your actions via some form of analytics, then you’ll always be in the know when it comes to what works and what doesn’t. SEO really boils down to the creation of quality content that provides users with value and the monitoring of your progress. 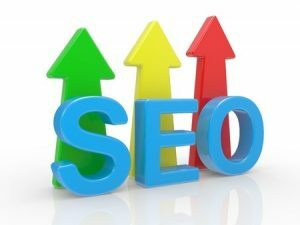 There are obviously many other details that go into the practice of implementing SEO, but these should be your guiding principles.